Things You Don’t Know about the 3 Badass Asian Games Ladies that Took our Hearts! We’ve seen their awesome action on the field, we’re sure that they’re definitely more than just Indonesian pretty faces. Letter F digs out what happened behind the medals! As the first gold medalist during this Asian Games 2018, all eyes were on her – the President posted her now-iconic dental-braced smile as she run with the Indonesian flag. And she definitely has become the new inspiration for all hijabi athletes out there! She’s not a newbie in the field of martial arts because she had been to lots of international competitions. 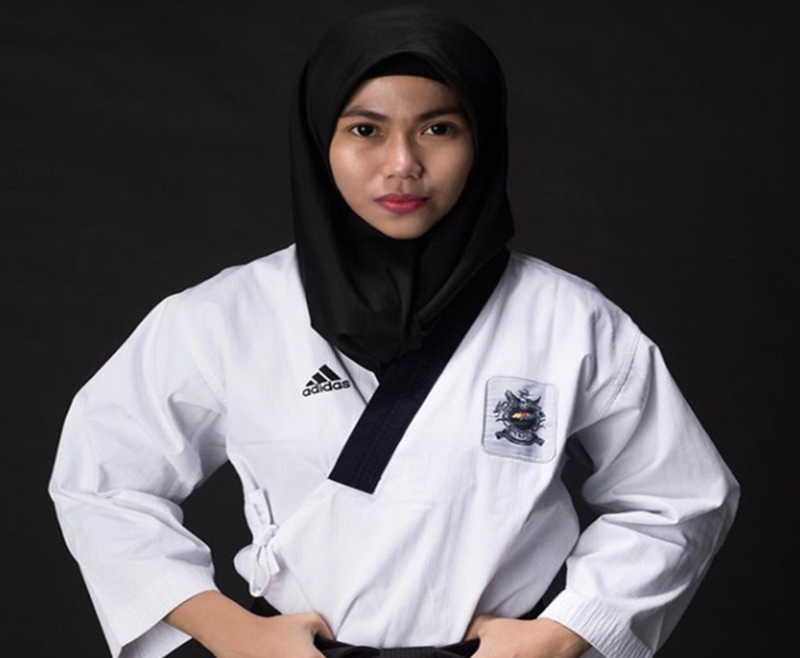 But little did people know that she started practice Taekwondo half-heartedly back in Junior High School – she was just followed the invitation by her cousin, who had started practicing this sport earlier. The cousin now has become DKI Jakarta’s official Taekwondo coach, btw. Wushu always enchants us since it combines beauty and lethality – the makeup, the costume, the shiny sword – we’re definitely swoon over it. And now we have Lindswell to look up to! She started Wushu since she was just 8 years old, and her progress is just wonderful. Her passion definitely paid for itself – between 2009 and 2018 she won nine medals at the world championships, including five gold medals. 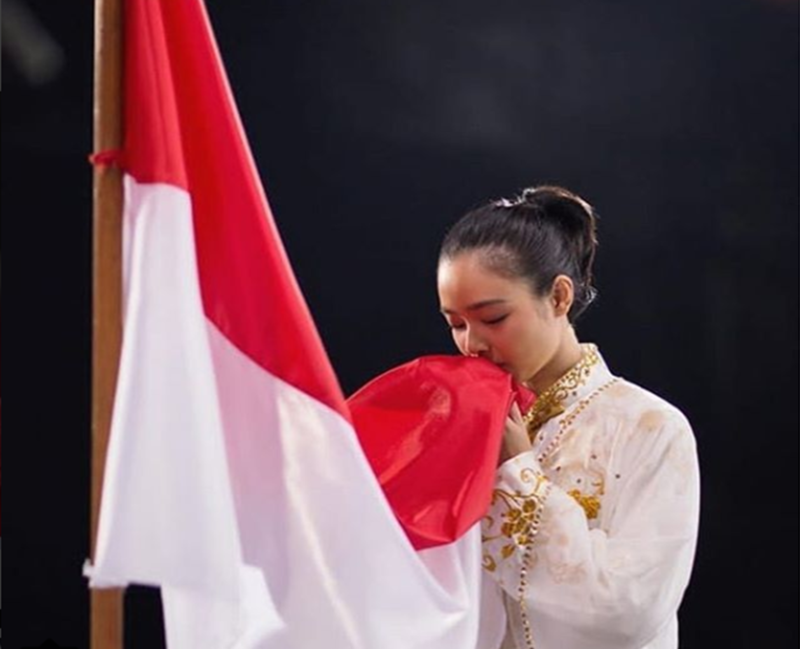 In 2013 she was named Best Athlete by the Indonesian Olympic Committee, and received the Dharma Sports Medal, the highest sports award in Indonesia. Behind this Asian Games glory, Lindswell has been struggling with injury on both of her knees, yet she refused painkillers. She already planned to retire before Asian Games 2018, but the committee wanted her back. So she modified her retirement plan and took this chance to mark the end of her career. A glorious ending indeed, as she managed to close it with a gold medal. We heart you, Lindswell! The Semarang-born lady has just started this extreme sport on 2012 – yet the fact never holds her back from competing and making achievements! 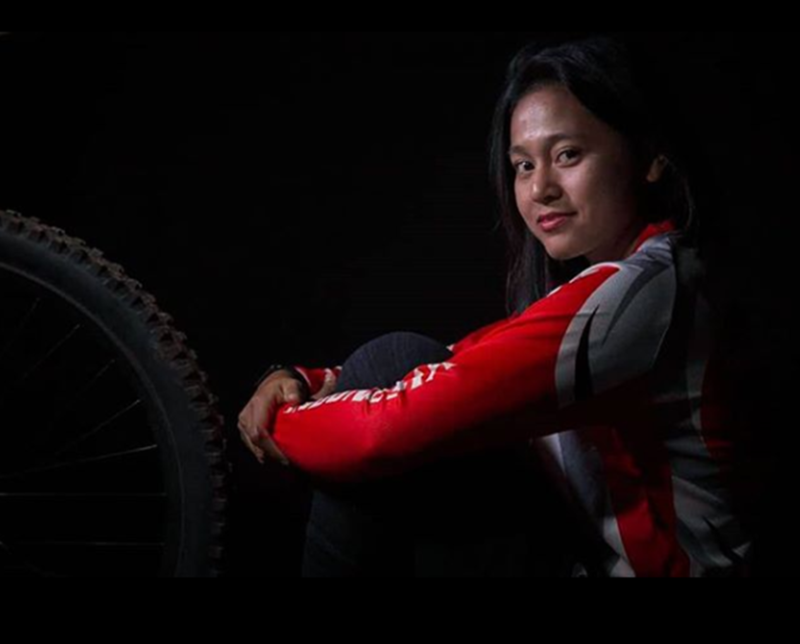 She’s a member of Patrol Mountain FJC Downhill Team; she’s very used to conquering the rough terrains among the boys, yet people around her still testified on her friendly, smiley, nature. She’s actually struggled with an injury for months prior to the Asian Games, but she has that optimistic spirit that keeps her going. What an inspiration!